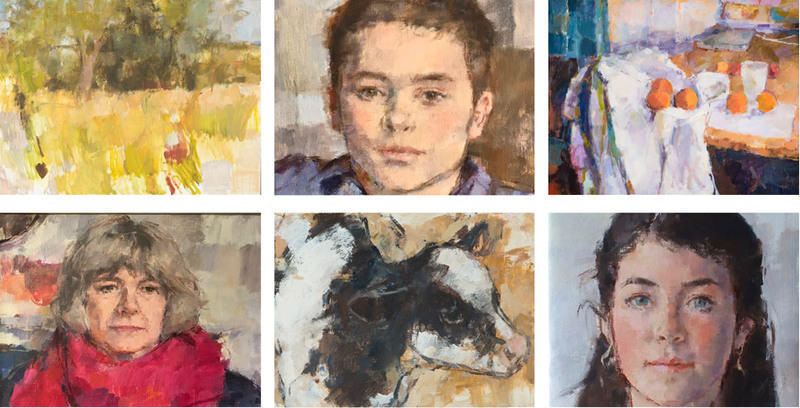 Minna Stevens is a painter who works predominately in portraiture, with a particular interest in portraits of children and animals. She has a great deal of experience of working with families and groups. Her approach is seemingly casual; it has a friendly, relaxed and intimate quality yet there is a rigour and urgency that makes her paintings exciting and vital. She has an affinity with her subjects, capturing a sense of the person, not just a likeness, while the paintings are experiments in composition and tonal balance. Her landscapes manage to be both tranquil and compelling, marrying familiarity with the frisson of a surprise encounter.